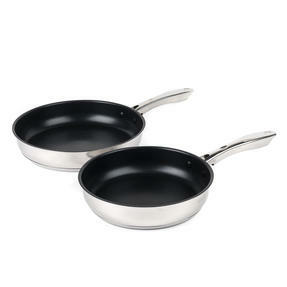 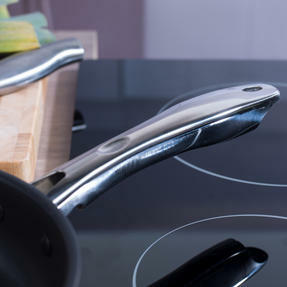 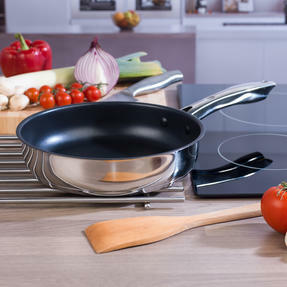 An essential set for any kitchen, these two frying pans are from the Russell Hobbs Optimum Collection. 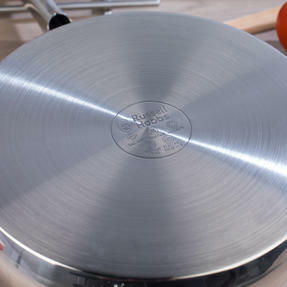 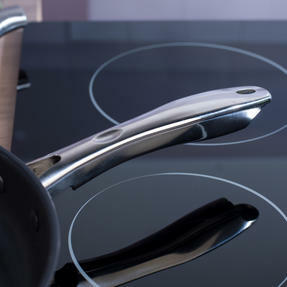 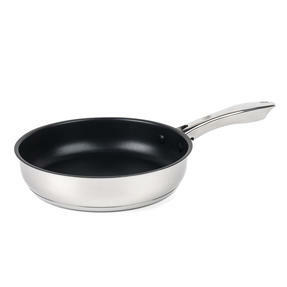 Made from durable stainless steel, the frying pans have a mirror polished finish. 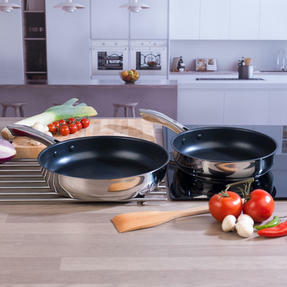 Providing ample cooking space, these pans measure 24 and 28cm. 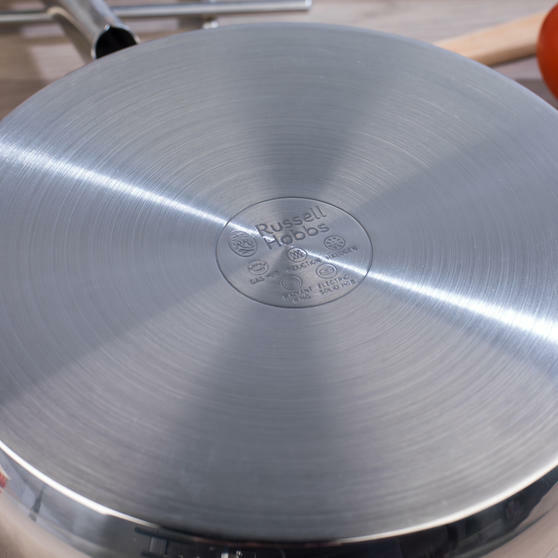 The interior of the pans is a brilliant dual layered non-stick coating, allowing ingredients to lift away easily from the surface. 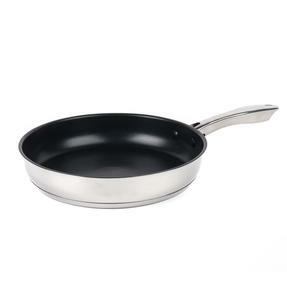 Complete with strong stainless steel handles, these frying pan are dishwasher suitable for simple cleaning after use. 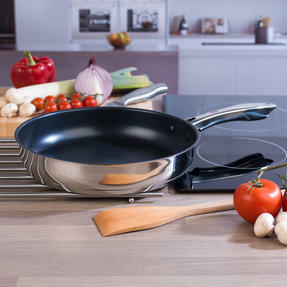 Made from durable stainless steel and with generous cooking surface space, this Russell Hobbs frying pan set is sure to impress. From the Optimum Collection, this set of two frying pans make a great addition to any cookware, featuring both a 24 and a 28cm fry pan. Featuring a dual layered non-stick coating, the impressive frying pans are crafted with high edges and secure handles for ease of use.